As I prepare power points and discussions for presentations this summer, I’d like to pause to reminisce a little about some of the circumstances of my life that led up to the development of the Neppe-Close Triadic Dimensional Distinction Vortical Paradigm (TDVP), as a model of reality that is appropriate for modeling relativity and quantum physics, cosmology, and physical, mental and spiritual development. From 1969 until 1974, with a background in mathematics and physics, I was one of the seven charter members of the US Department of Interior Systems Analysis Group in Arlington Virginia, a suburb of Washington, D.C. I was privileged to have the opportunity to work with several distinguished mathematicians with degrees from Harvard, Stanford, Johns Hopkins, and other leading Universities. At that time, I was working on my PhD at Johns Hopkins. Under the direction of Dr. Nicholas Matalas, a Harvard PhD and world leader in probability theory, we constructed mathematical models of environmental systems. Our projects included modeling storm cell development, coastal geomorphology, the relation of sunspot activity to weather patterns, and water resources management models, among other things. One of the mathematicians I had the privilege of working with was Benoit Mandelbrot, a soft-spoken, friendly man. At the time, he was working on his later-to-become-famous paper on fractals. As a member of the Systems Analysis Group, I helped peer-review his ground-breaking paper. More importantly, I was able to discuss fractals and other interesting mathematical concepts with him when he visited our lab in Arlington. I mention this because the use of fractals, which became a popular art form, in mathematical modeling, is analogous to the use of the Rubik’s cube to model reality. 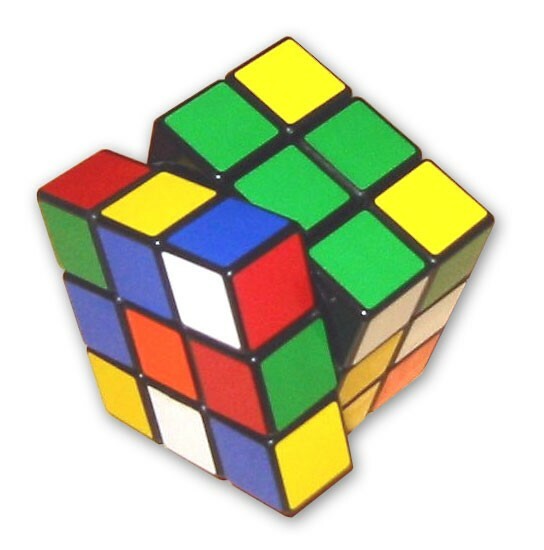 The Rubik’s cube, while considered to be a toy, or at best a frustrating puzzle by most, is uniquely designed to model the dimensionality of reality. It has nine orthogonal planes of rotating cubes, handy for simulating the nine dimensions of the TDVP model of the universe. It has three horizontal layers that can represent the body, mind and spiritual characteristics of conscious beings, and it can equally well represent quarks, atoms and molecules, or planets, solar systems and galaxies. Stay tuned for more detail.